One of my favorite features that Microsoft acquired and added to Bing Search was Farecast. 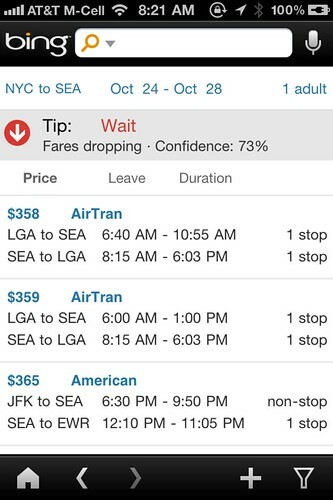 Farecast was a flight search engine that offered pricing predictions. I.e. should you buy now or wait for the price of the flight to go down. The search engine used historical flight prices to make a predicition. Previous story: Who's Google's Biggest Threat?